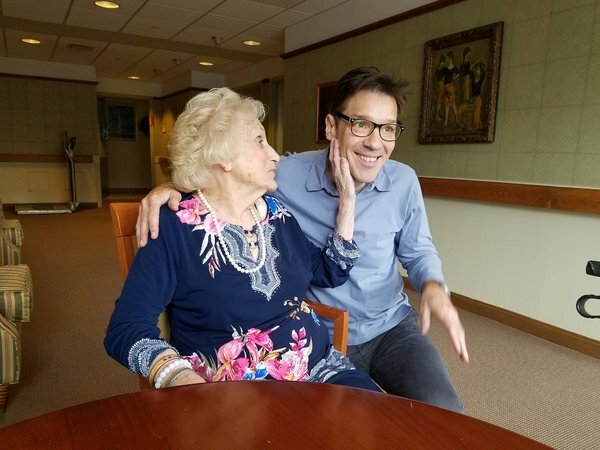 It was our pleasure to interview author John Leland for this edition of Laker in the Spotlight. As an accomplished New York Times author, Leland’s career in writing is rivaled by few. His recently published book, “Happiness Is a Choice You Make: Lessons from a Year Among the Oldest Old”, is already a huge success. Since graduating from Mountain Lakes High School in 1977, Leland has excelled as an author at every level. After attending Columbia from 1977-1981, he made his way through the journalism field; working everywhere from small publications to some of the most established news media companies in the world. 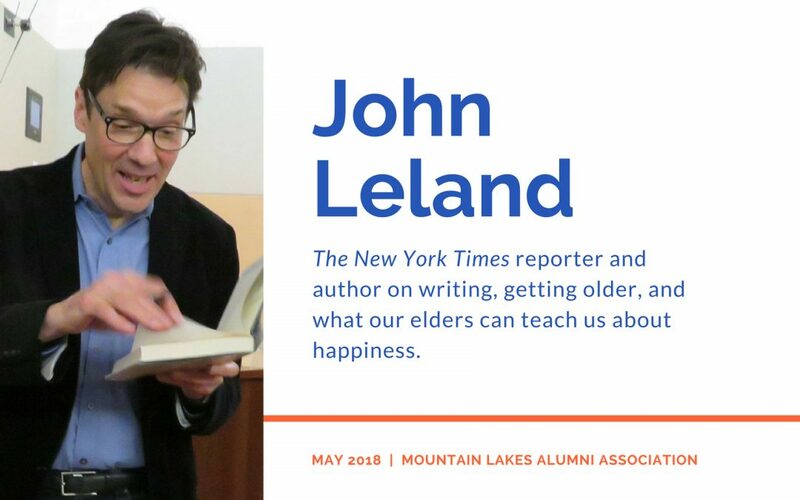 Recently, we had the opportunity to sit down with John Leland and learn more about his new book, career, and time growing up in Mountain Lakes. MLAA: When did you come to Mountain Lakes? How long did you live in town? JL: We moved from New York in 1962 and stayed until my younger brother, Joe, graduated from MLHS in 1979. MLAA: When did you graduate from Mountain Lakes High School? JL: I grew up with remarkably smart and talented peers, in a community that wanted us to succeed. Even more than my more specific memories of this day or that night, that collective memory has stayed with me. MLAA: What sports, clubs, and activities were you involved with during high school? JL: I played freshman football (sort of) and wrote a little for the Mountaineer, but was not particularly drawn to organized activities. MLAA: How has the town changed since you grew up here? JL: I’m not sure, because I haven’t spent much time there, but after a school shooting in a high school that looked a bit like MLHS, I spent a week in the school trying to see how things have changed. Students seemed more scheduled than in my time and more dutiful in their studies. An old teacher said they were easier to teach, more open, but not as questioning as in past times. The houses are a little spiffier, but such is the world. MLAA: After graduation, you attended Columbia, earning a degree in 1981. What was your time there like? JL: It was a jolt of energy that lasted for four years and then carried over for the next 37. Something about New York’s rhythms meshes beautifully with mine. MLAA: Did you always know you wanted to be a writer? How did you first get started? JL: I didn’t know what I wanted to do after college. I knew I liked writing, and I knew I liked music, so I started writing freelance articles for little rock and roll magazines and writing travel brochure copy to pay my (minimal) rent. The magazines tended to fold, and the three people I knew at one would land at three other magazines, and soon I had more and more places where I could write. MLAA: You have worked at famous magazine publications such as Newsweek, Spin, and The New York Times. What has been the most enjoyable place to work and why? 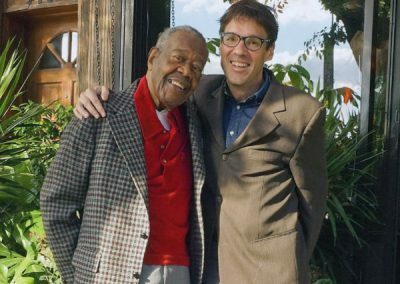 JL: Being a daily music critic at New York Newsday was the most fun work I ever did until my recent book, “Happiness Is a Choice You Make: Lessons from a Year Among the Oldest Old,” and the Times series it grew out of. 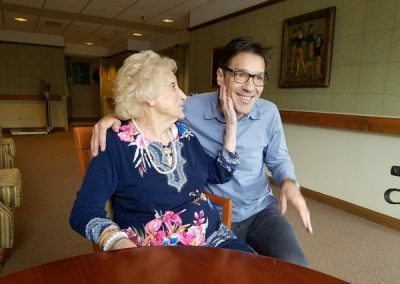 Newsday was exhilarating because I got to weigh in on everything that moved, and the book and series, for which I followed six people age 85 and up for a year, were life-changing because they made me rethink what I thought I knew about life. I went in as a cocky expert and came out as a grateful student, happier and eternally grateful. MLAA: You began working at The New York Times in 2000. What has been the most rewarding part of working there? JL: I loved working in Iraq in 2009, 2010 and 2011. I was curious about what kind of society or mess we were leaving behind as the US planned to pull out, and I got to explore the fabric of Iraqi life during a brief idyll in the hostilities. MLAA: Your most recent book, “Happiness Is a Choice You Make: Lessons from a Year Among the Oldest Old”, is already a huge success. What inspired you to write it and why do you think it has proven to be such a big hit? JL: It began with the Census datum that people age 85 and over are one of the fastest growing age groups in the country – multiplying six-fold since I was born. So I wanted to know what life at 88 or 92 looked like to the people who were living it. I picked six very diverse characters and followed them for a year. I went into the project expecting to write about the hardships of old age—and I found them—but I discovered that none of the people defined themselves by their losses. Only other people did that. They saw their lives as stories of passion, purpose, resilience, and adaptation, like people at any age. And we can all recognize ourselves or our elders in one or more of the characters. So I give all credit to the people in the book. As a writer, you hope to introduce readers to great characters, then let the characters do the work. The six who shared their lives with me are folks you can feel lucky to meet. I know I am. MLAA: Given your business expertise and the nature of what you do, what advice can you offer to the readers? JL: I’m often asked that by young journalists. I tell them to attach themselves to smart people and be useful to them. Don’t worry about the biggest payday or the most prestigious employer. Build relationships with talented people wherever they are. They’ll go places, and take you along. Also, always send thank you notes. Hand-written, if possible. MLAA: Is there anything else we should know about you, your family, or your career? JL: We always hear about the midlife crisis. But for me midlife has been a joyous time, filled with new adventures, new love and a little bit of new girth around the middle, but that’s just because I haven’t been to the gym for a while. MLAA: If you could go back in time for one day, to any point in your career, when would it be and why? the winter, or get myself a new automobile, I’ll be happy then. But you don’t know what’s going to happen by that time. Right now are you happy?” I learned a lot from him, and this lesson looms large. MLAA: What is next for you or what do you see yourself doing in the future? JL: I’ve been speaking about my book lately, and the events and the people I’ve met at them have really charged my batteries. So I want to bring the word—that old age is richer than we think, and its wisdom can show us how to live better now—to every book club, YMCA, VFW hall, bookstore, auditorium and JCC that will have me. MLAA: Favorite Music? Movie? Book? JL: Listening to Glenn Gould’s recordings of Bach’s “Goldberg Variations” lately. Favorite movie changes daily; last year it was “The Florida Project.” The book I recommend most is Gary Shteyngart’s “The Russian Debutante’s Handbook,” and the one I buy at every stoop sale so I can give it away is Anne Fadiman’s “The Spirit Catches You and You Fall Down.” People typically thank me for it. MLAA: If you could invite 3 people to dinner, alive or dead, real or fictional, who would they be? JL: My dad and his parents. I never knew those grandparents, and I’d love another meal with my dad, who died in 2004. 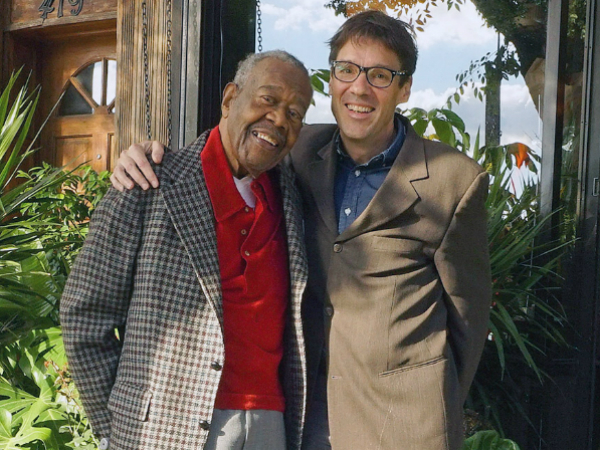 He’d be proud that you interviewed me, and embarrassed that I mentioned him.